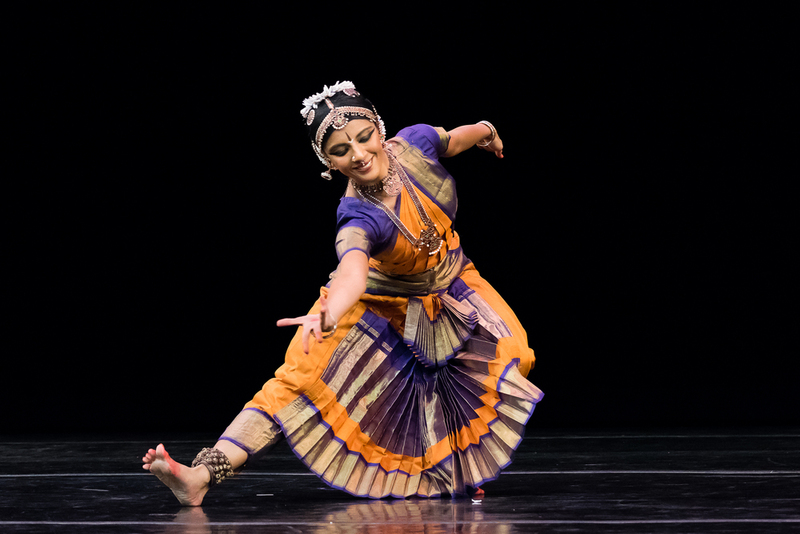 "Aparna Ramaswamy is a vision of sculptural lucidity whose dancing brings a full-bodied awareness to complex rhythms and shifts of dynamics." "Thrillingly three-dimensional... rapturous and profound." "A marvel of buoyant agility and sculptural clarity"
"The eye often goes straight to Ms. Ramaswamy’s impeccable technique and incandescent beauty."